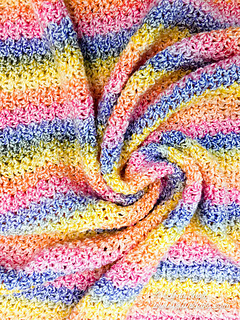 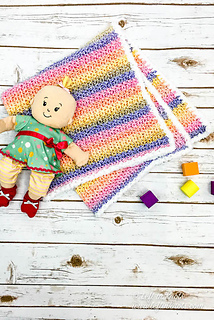 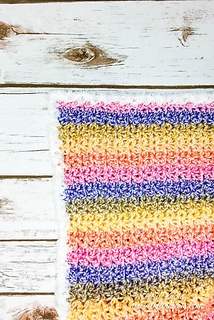 Use this free crochet pattern to make a fast and easy baby blanket using the lemon peel stitch. 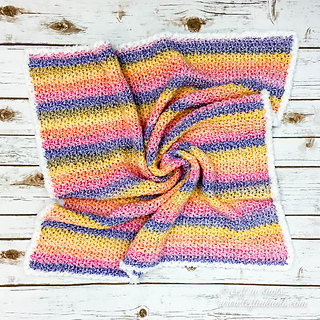 Self-striping yarn and a unique and fluffy border make this a truly special handmade baby gift. 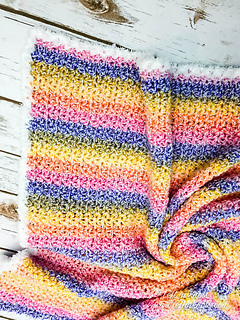 This blanket is also easy to size up to be a throw or an afghan.